Leigh hails from Melton Mowbray in Leicestershire and after earning his stripes with the local town band he came under the wing of Geoff Whitham at the Ancient Order of Foresters Band at the age of 16 years old. Geoff was to continue to mentor Leigh in euphonium playing at Huddersfield Polytecnic (now University) when he studied there (majoring in performance) from 1988 - 92. Leigh joined the Brighouse and Rastrick Band on Euphonium in 1990, but it was on Solo Baritone that Leigh really made his mark. His illustrious playing career with Brighouse lasted 19 years and saw Leigh lift many prizes whilst performing throughout the UK, Europe and North America. Leigh's composing and arranging work is prolific and his award winning music is featured by many bands throughout the world and is widely published by a variety of publishing houses. Leigh is also a keen adjudicator at a variety of contests and festivals, whilst being a member of the Association of Brass Band Adjudicators. 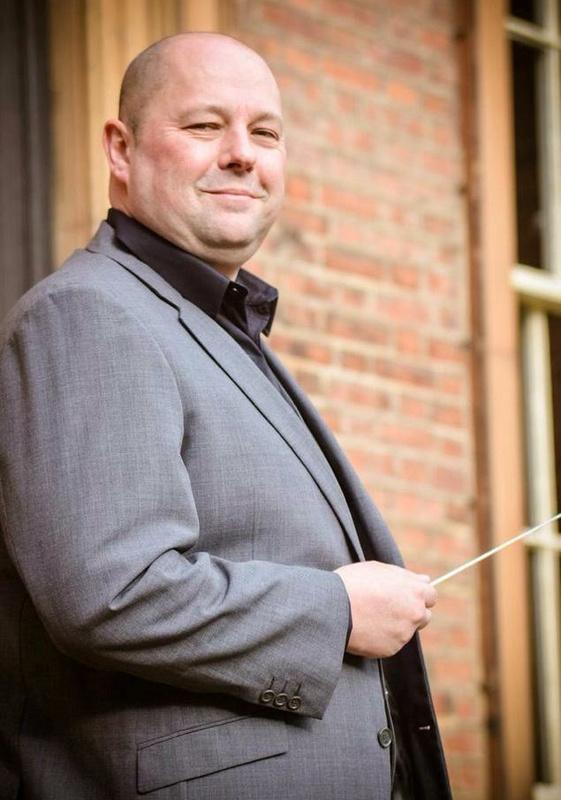 Since retiring from playing in 2009, Leigh has been able to concentrate on his flourishing conducting career, conducting many bands over the years including South Yorkshire Police Band (present), Thoresby Colliery, Staffordshire, Milnrow, Carlton Main Frickley, Leyland, Hepworth, Desford, Whitburn and spent a year as resident conductor at Brighouse and Rastrick Band. Leigh has previously worked with The Harrogate Band back in January 2016 and more recently in July 2018. He is excited to work with the band once again as we return to the Championship section. Sam's banding career started at the age of 9 years old, when he started learning to play the Tenor Horn. When Sam moved to Leeds to study Maths at Leeds University, he took on the role of conducting the University's wind orchestra and brass band. 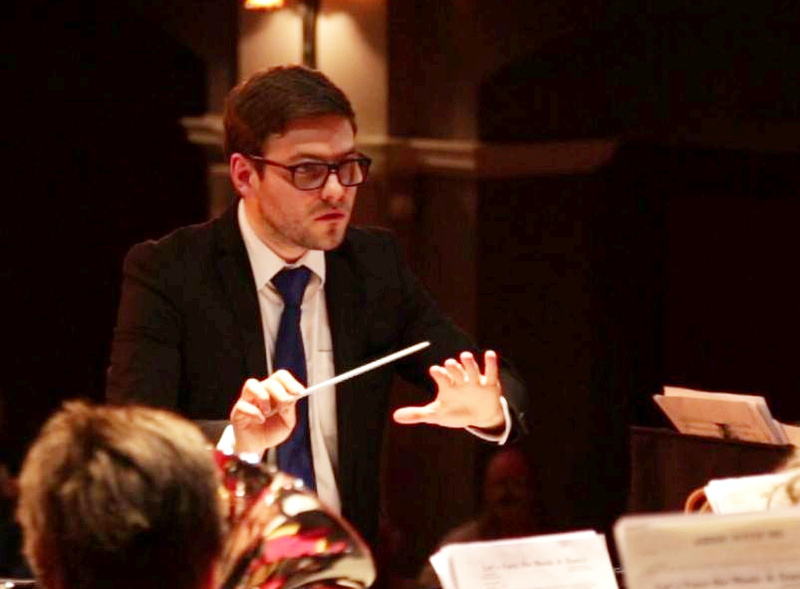 Once finishing at Leeds University Sam joined The Harrogate Band and went on to study a Master's Degree in Conducting at Huddersfield University. Sam is also keen composer and arranger, recently setting up his own publishing company, Integral Music Publishing. Here you can purchase several of Sam's arrangements that The Harrogate Band have had the pleasure of playing over the years. Sam holds the Solo Tenor Horn seat at The Harrogate Band and has done for 3 years. You'll be able to see Sam both playing the Tenor Horn and conducting in concerts throughout the year, whilst we play several pieces that Sam has arranged. Sam is also the Musical Director of Otley Brass Band and is extremely excited to be working alongside Leigh going forward.